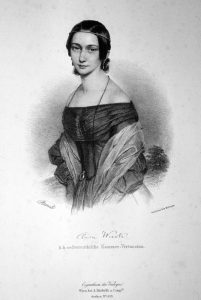 Hailed as the “Queen of the piano”, the young pianist and composer, Clara Wieck dazzled 19th century European audiences with her virtuosic, yet delicate and highly musical piano performances. In 1837, aged only 18, she was made a Royal and Imperial Chamber Virtuoso by the Emperor of Austria and, perhaps more importantly, she was so popular in Vienna that a cake was named after her, ‘Torte á la Wieck’. 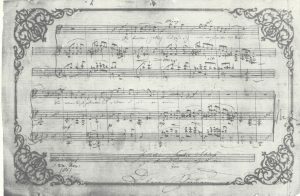 Nevertheless, Clara left us with a body of compositions, which, albeit small, are now deservedly becoming better known and can stand proudly alongside those of her famous contemporaries. Her story is told in Art Sung – Clara Schumann. At the heart of this dramatized recital are her songs, alongside works by Mendelssohn, Brahms, Wagner, Liszt and, of course, her husband, Robert. 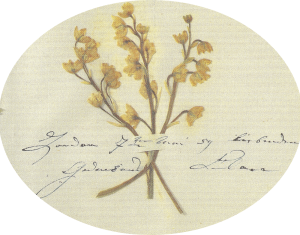 The visual material has been mainly inspired by flowers collected and pressed by Clara and which were of great significance to her. These will be interwoven with letters, diary entries, newspapers clippings and artwork from the German Romantic movement to create a video which, together with the Lieder, will give voice to Clara Schumann’s extraordinary life.